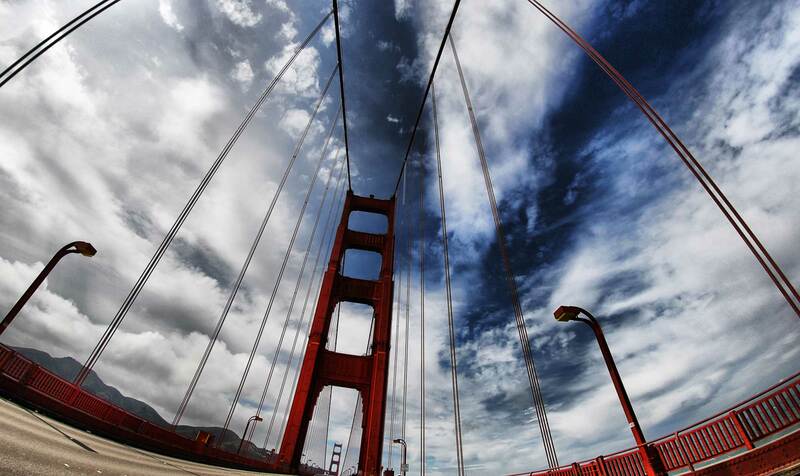 The November Case-Shiller Index report was released this week. 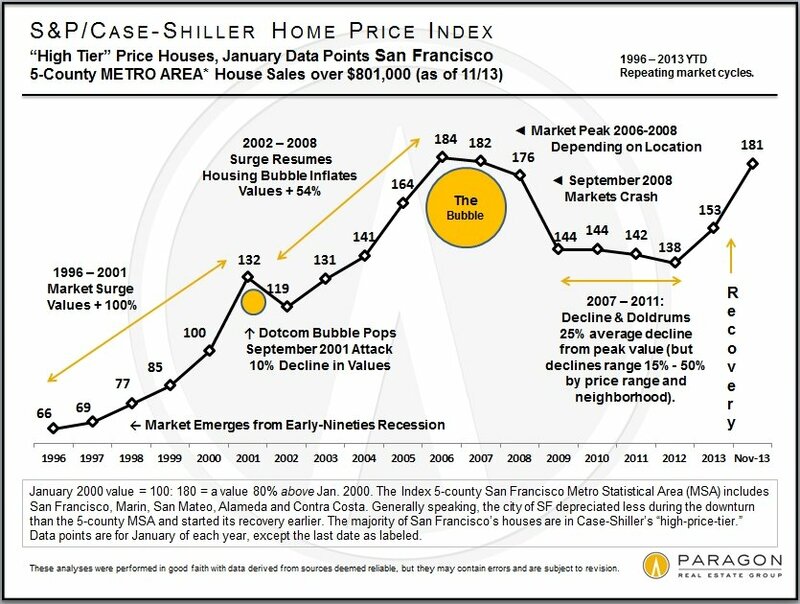 Below are three looks at what has happened in Bay Area “high-tier-priced” houses (currently delineated as those selling for more than $801,000) since 2013 began, over the past 2 years – as the recovery really began in early 2012 – and since 1996, to show market cycles. Right now, ignoring small fluctuations up and down, home prices are basically continuing on the plateau they reached after the huge spring surge in appreciation. 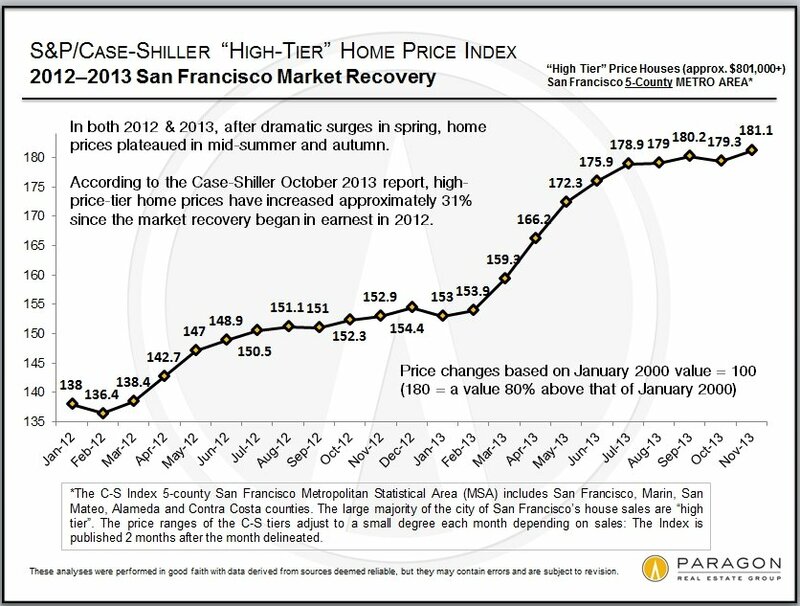 Case-Shiller measures a 5-county metro area, not just the city of San Francisco. 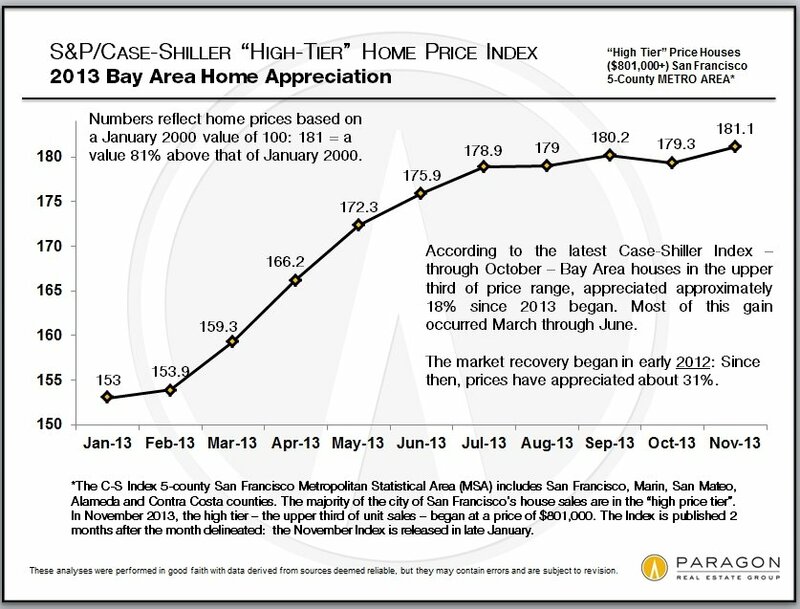 The numbers used relate to a January 2000 value of 100; thus 181 = 81% home price appreciation over the past 14 years. Next PostNext That’s Bernal with an “A”.